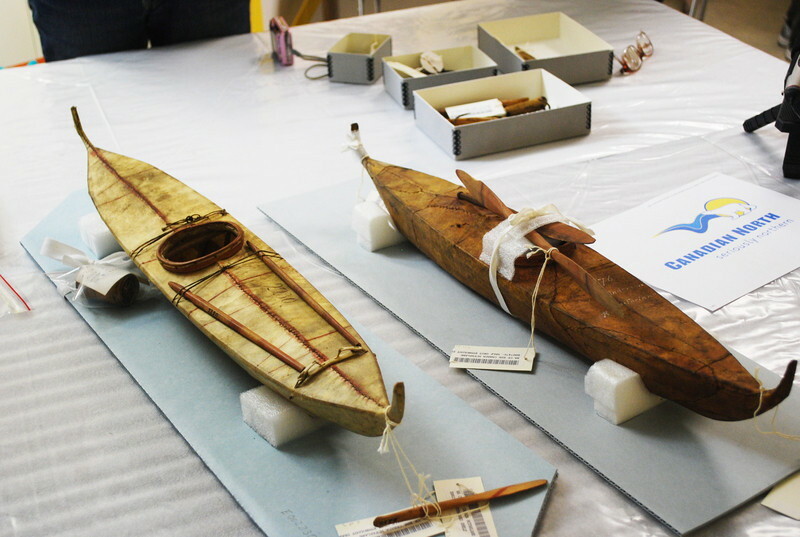 Inuvialuit used lightweight kayaks for hunting whales and seals, setting and hauling fishnets, and spearing swimming caribou. 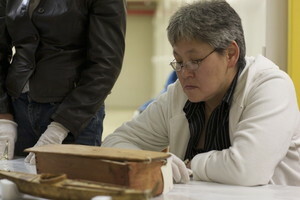 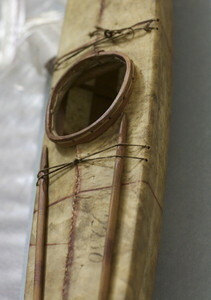 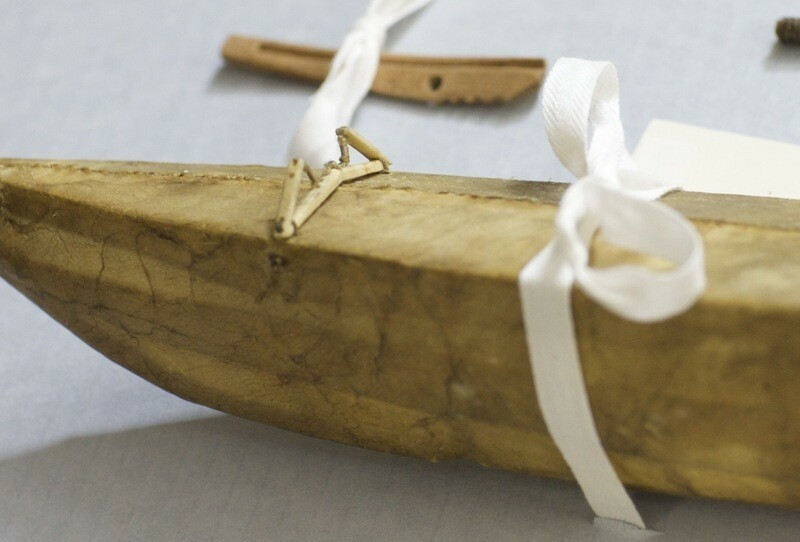 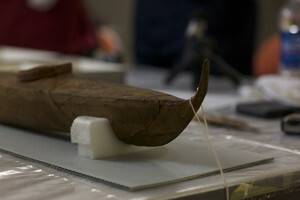 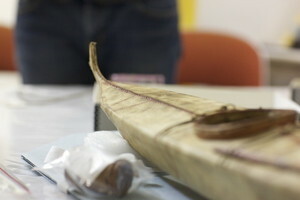 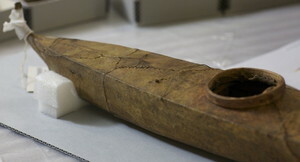 The frames were made from driftwood, and skins of seals or beluga whales were used for covers. 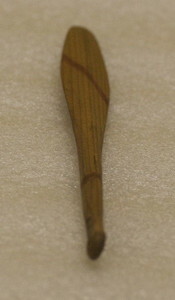 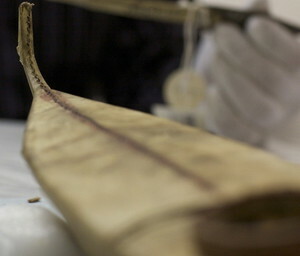 Inuvialuit kayaks had distinctive upturned stems that were useful for lifting them from the water. 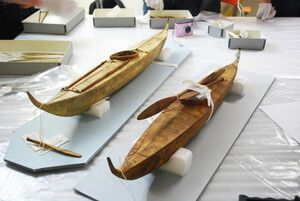 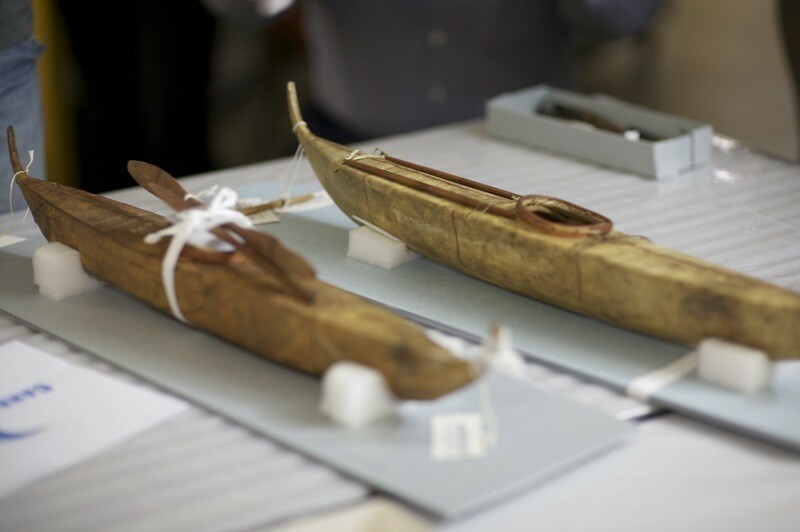 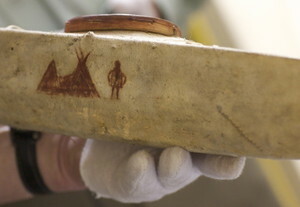 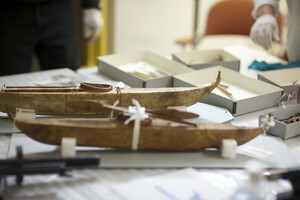 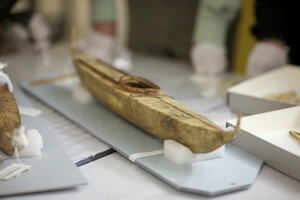 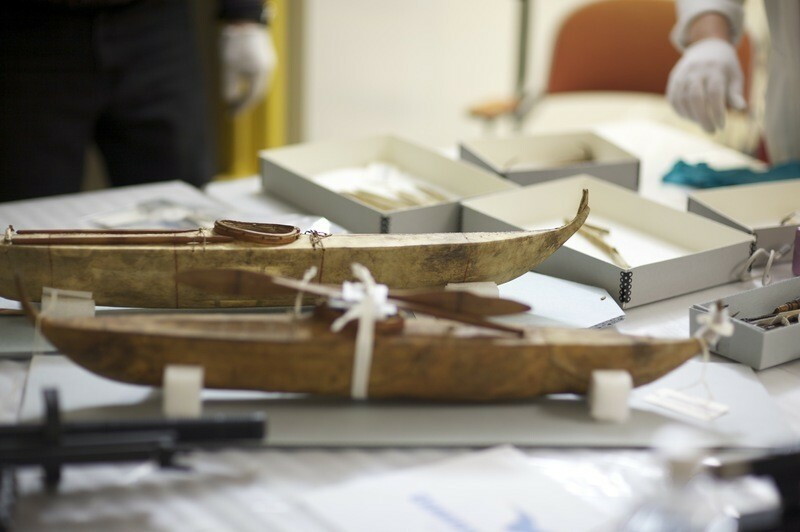 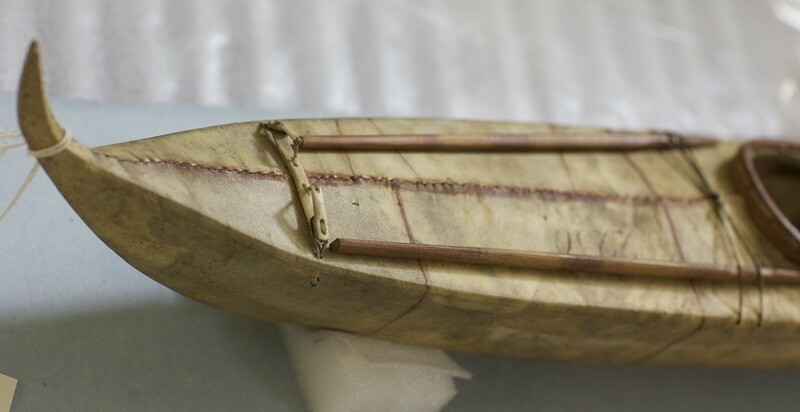 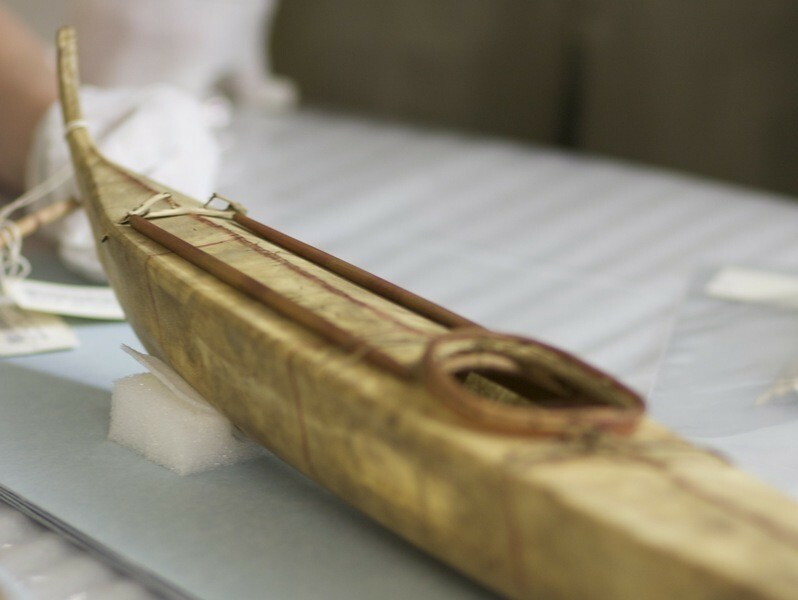 Full-sized kayaks would have been difficult to send to the Smithsonian Institution, and MacFarlane instead collected accurately made models. 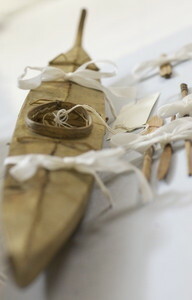 "The kayak is a light canoe completely decked over with light wooden hoopsheld and jointed without a single nail. 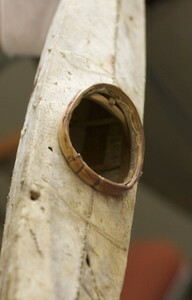 There is on top a manhole in which the occupant sits and which he makes tight around his waist with his garment. The kayak is manoeuvered by a short double-bladed paddle whose blades are very narrow. The handle is thick and heavy."